Hail Damage Repairs: 5 Methods For Repairing Hail Damage…Are You Prepared For Hail Season? Watch the video demonstrating this method. In the video, I did not have an oxyacetylene torch. I used a small propane torch, which did not work as well. P.S. Would you like additional dent repair training? 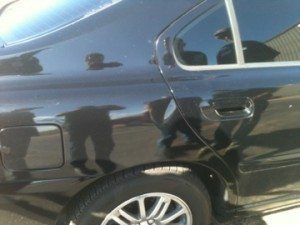 Check out my lesson on Dent Repair. I have seen your video and would like to see your method used with a acetylene torch instead. I have looked all over YouTube and could not find a video with the same process you displayed on the mustang. It would be very helpful. It is important to hail the dents or damage of a car.